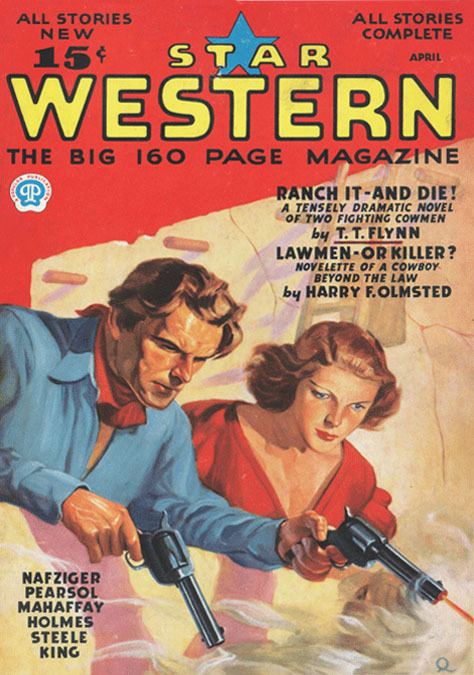 Raymond Lyman Quigley was born on May 4, 1909 in Brooklyn, New York. His father, Charles Lyman Quigley, was born in 1881 in New York. His mother, Della Bogart, was born in 1882 in New York of Swedish ancestry. His parents married in 1903 and had three children, of which only two survived infancy. His older sister Laura was born in 1905. The family lived at 354 Midland Avenue. His father worked as a machinist, and later a mechanic at an auto garage, and eventually owned an auto parts store. In 1920 the family lived at 336 Hillsdale Avenue in Syracuse. In June of 1928 he graduated from high school in Syracuse. 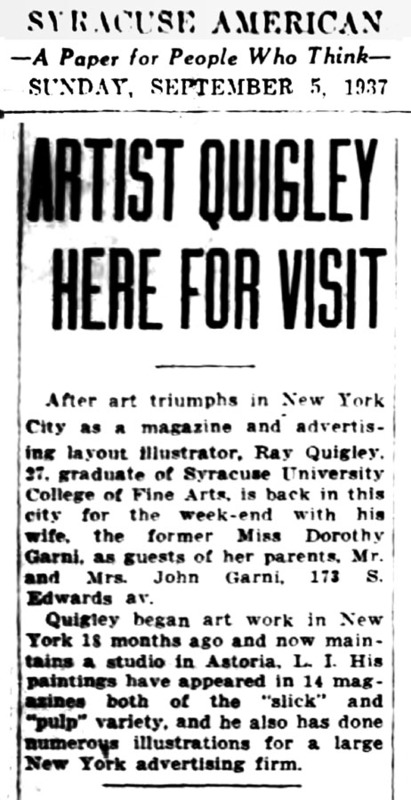 In September of 1929 he began to attend Syracuse University College of Fine Arts. Tom Lovell, Harry Anderson, Lee Brown Coye, and Elton Fax all attended the same school at that time. In 1930 he lived with his parents at 368 Hillsdale Avenue in Syracuse. 1933 he graduated with a BFA from Syracuse University College of Fine Arts. After graduation he worked as a staff artist at an advertising studio in Boston, MA. In 1934 he married Dorothy Garni. She was born on May 12, 1914 in Syracuse. Her parents, Mr. & Mrs. John Garni, lived at 173 South Edwards Avenue. In 1935 he moved to New York City, where he was hired to work as a staff artist at an advertising agency. 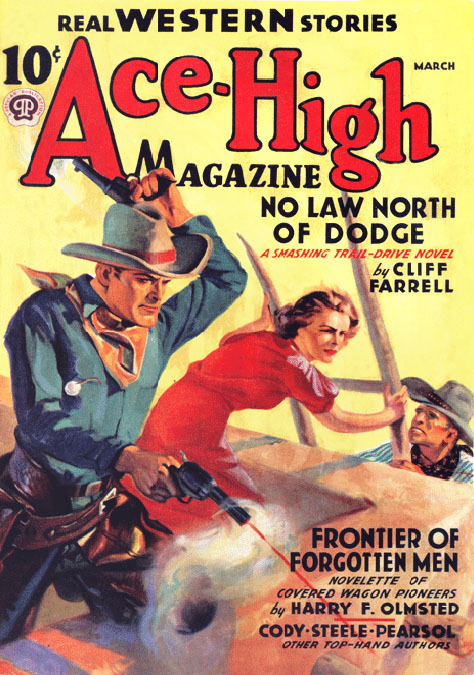 By 1936 he had opened an independent art studio in Astoria, Long Island City, Queens, NY, where he conducted a secondary career as a freelance artist selling illustrations to pulp magazines. 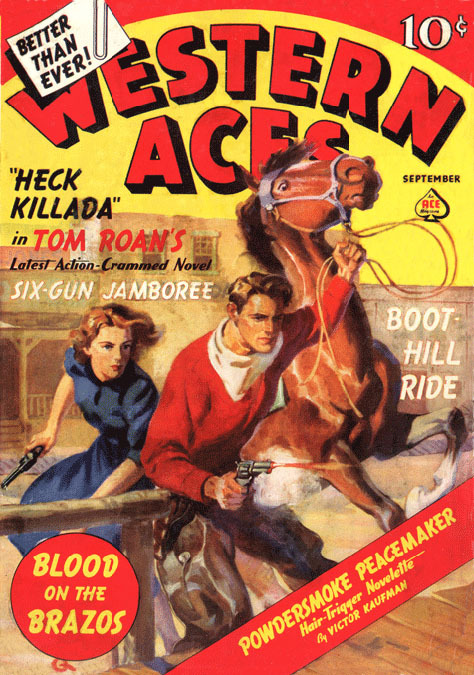 His work appeared in Ace-High Western, Action Stories, Dime Western, Secret Agent-X, Star Western, and Western Aces. 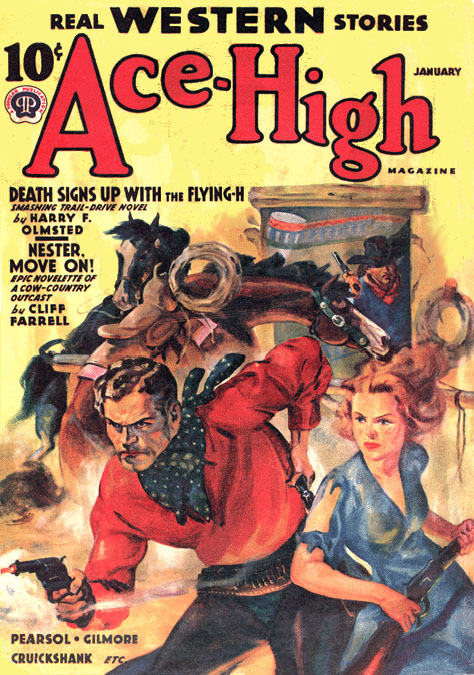 He also drew pen and ink interior story illustrations for pulp magazines. These were signed with a signature motif composed of the capital letter "Q" within which appeared a small letter "r."
On September 5, 1937 his hometown newspaper published an informative article about his professional activity. 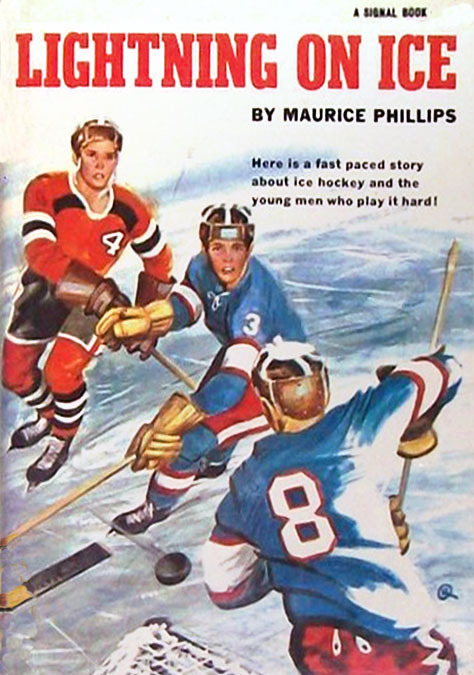 In 1940 he and his wife moved to Easton, Connecticut, where they lived at 65 Cedar Hill Road. The following year their daughter Nancy was born. During WWII he did not serve in the military, because he was thirty-three and supported a wife and infant child. 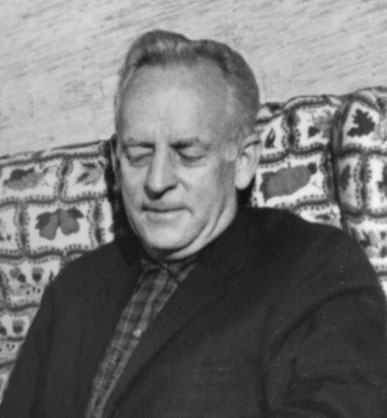 Nevertheless, he contributed to national defense by working as a draftsman at the United Aircraft Corporation in East Hartford, CT.
During WWII the cartoonist Alex Raymond served in the military, while a succession of substitute artists continued to draw his popular comic strips, including Jungle Jim, which appeared in Sunday comic pages of syndicated newspapers. Ray Quigley was one of these un-credited replacement artists that drew Jungle Jim sometime between 1942 to 1946. In 1948 he taught a workshop in illustration at the Brooklyn Museum Art School in NYC. 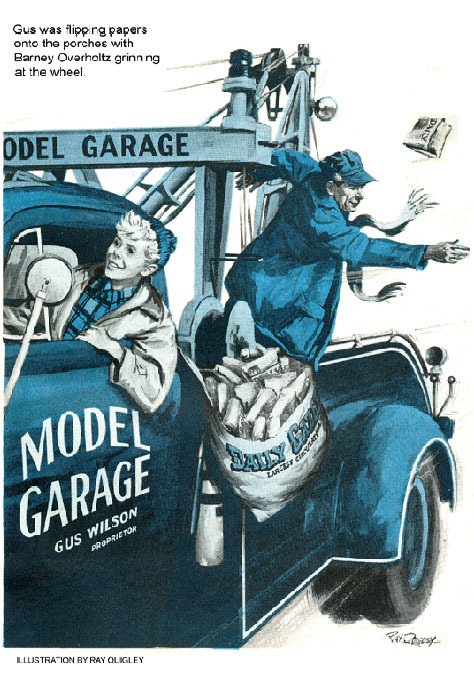 In 1948 he took over a long-running series in Popular Science Magazine, entitled "The Model Garage,"which featured a likeable mechanic, named Gus Wilson. 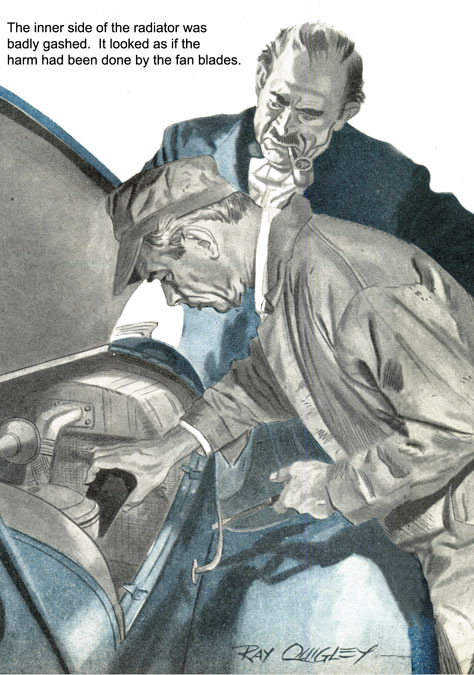 This character was at least partly based on the artist's father, Charles Quigley, whose family-owned business was an auto parts store. 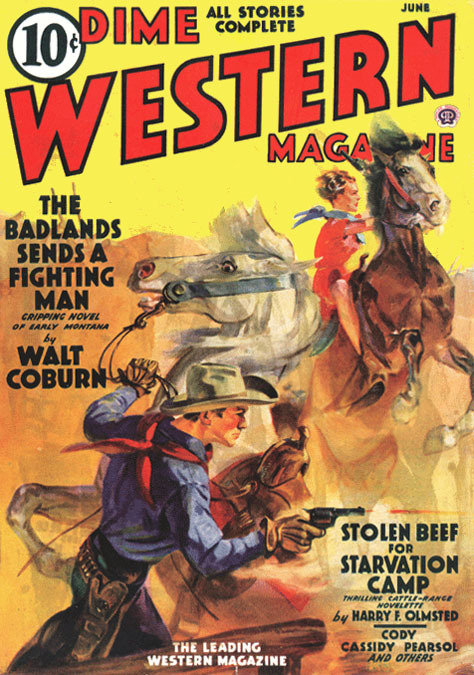 "Gus Wilson" was so beloved that Popular Science received a steady and overwhelming supply of fan mail addressed to the fictional character. 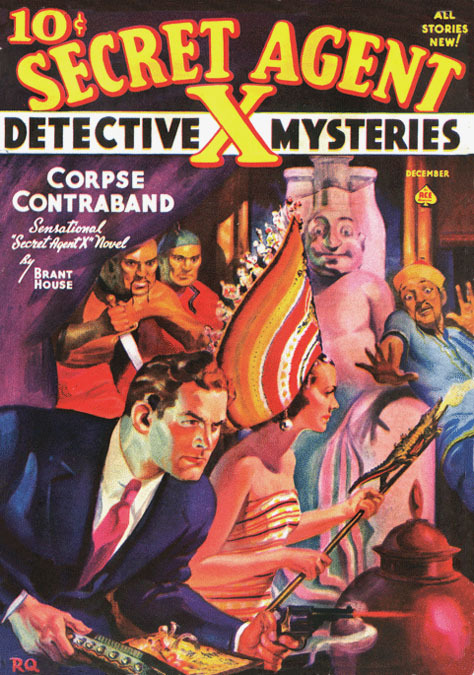 Ray Quigley continued to illustrate this popular series for over twenty years. 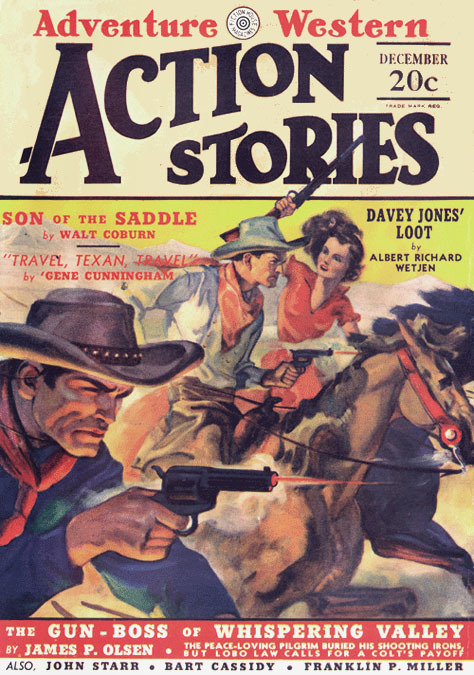 During the 1950s he illustrated stories in Boy's Life, American Weekly, Parade, and Coronet Magazine. 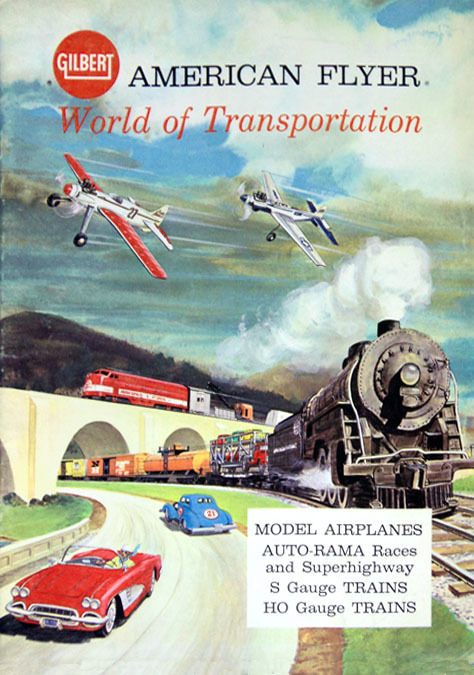 He also illustrated advertisements for Pepsi-Cola, General Electric, Ford, TWA, and Dupont. 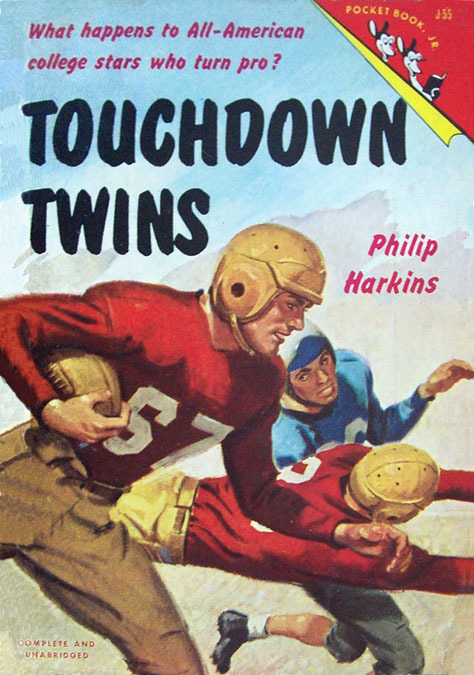 Along with illustrating magazines and advertisements, he also illustrated books published by Simon & Shuster, Pocketbook, Grosset & Dunlap, Doubleday, and MacMillan. In 1956 his father died at the age of seventy-five. In 1969 his mother died at the age of eighty-seven. On April 1, 1978 his wife died at the age of sixty-four. In 1982 he moved to a retirement home at 70 Grassy Hill Road in Waterbury, CT.
Ray Quigley died in a hospital in Plymouth, CT, at age eighty-nine on August 10, 1998.